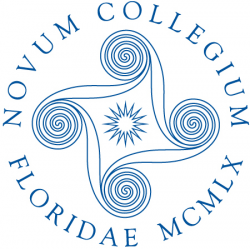 Situated on the Gulf Coast of Florida and Sarasota Bay, New College is a nationally recognized, selective public honors college with a 10:1 student/faculty ratio. Students are intellectually independent and highly motivated. Undergraduate research has a central role in the curriculum, and a senior thesis/project is required of all students. Students receive narrative evaluations in lieu of grades. New College is committed to excellence in undergraduate teaching and research and encourages collaborative student-faculty scholarship.